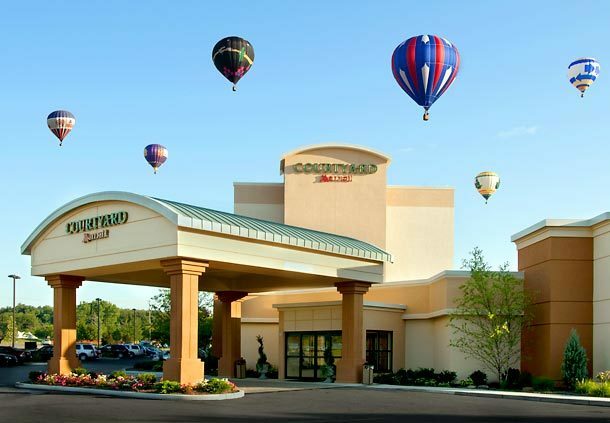 CANTON, OH (Feb. 5, 2013) – At the Stir After Hours networking event on Wednesday, Feb. 13, guests will learn why the Courtyard by Marriott is known not just for its great stays, but also for its incredible space for events of all sizes. The Courtyard, a partner and featured bar of the popular Great Lakes Brewery, will have complimentary hors d’oeuvres from the new bar menu, along with wine and beer, including popular on-tap favorites like Dortmunder Gold Lager and seasonal Great Lakes selections. Guests will be entered into a drawing for door prizes, and one lucky winner will take home an overnight stay with breakfast for two. Plus, attendees will have a chance to become the next Hot Business featured company in the Chamber's Action Newsletter. With over 3,700 sq. ft. of flexible meeting and banquet space, the Courtyard by Marriott is a great place for meetings of all sizes – from networking breakfasts for small groups, to large conference sessions and expos, it’s the perfect place for your business needs. Plus, local business leaders can join the Courtyard at weekly “After Work Wednesdays” from 6 to 8 p.m. including live entertainment and an on-site masseuse. This month’s Stir After Hours will feature tabletop exhibits. For just $25, Chamber members can promote products and services to guests and generate sales leads in an enjoyable networking environment. Contact Molly Romig, membership and sales manager, at (330) 458-2077 or mollyr@cantonchamber.org for more information and to book a table. The Canton Regional Chamber's Stir After Hours will be held on Wednesday, Feb. 13, from 5:30 to 7:30 p.m. at Courtyard by Marriott (located at 4375 Metro Circle NW in Canton). The cost is just $5 per ticket and tickets are available by calling (330) 458-2070. The Stir After Hours Small Business Networking series from the Canton Regional Chamber of Commerce adds a little swizzle and a lot of sizzle to our already successful Business After Hours event. Stir is about mixing business liaisons old and new, blending socializing with sales calls and swirling a little bit of dalliance into your dealings! Each month in our Action Newsletter we feature a monthly company feature article, and you can only be featured by coming to Stir After Hours! There’s no better way to reach our 2,600 member readers than with a feature that puts your company, product or service in the spotlight.